The relationship between a water fowl hunter and a bird dog is legendary. It is a transcendent, emotional connection. Wingmaster represents a pinnacle moment in the hunter/ retriever experience. 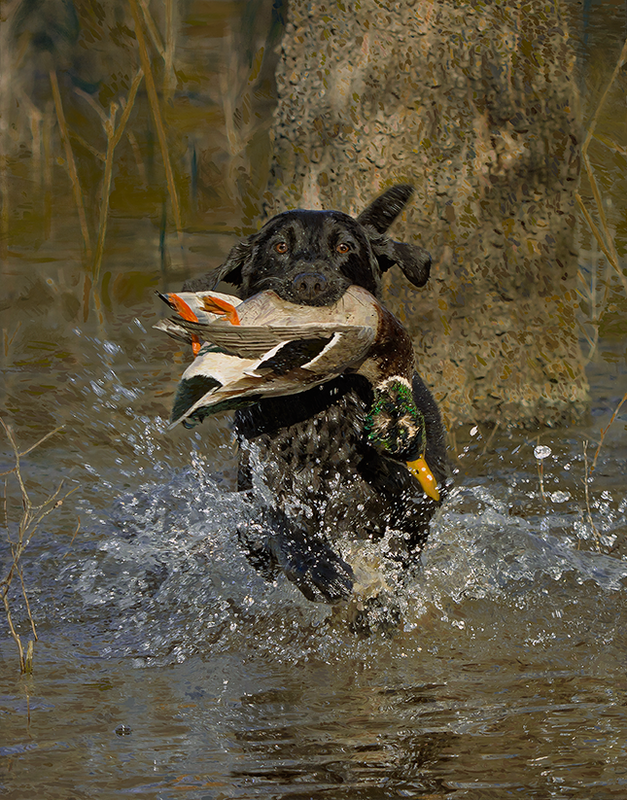 When the bird is downed, this retriever must locate and return the bird with an angel’s touch. 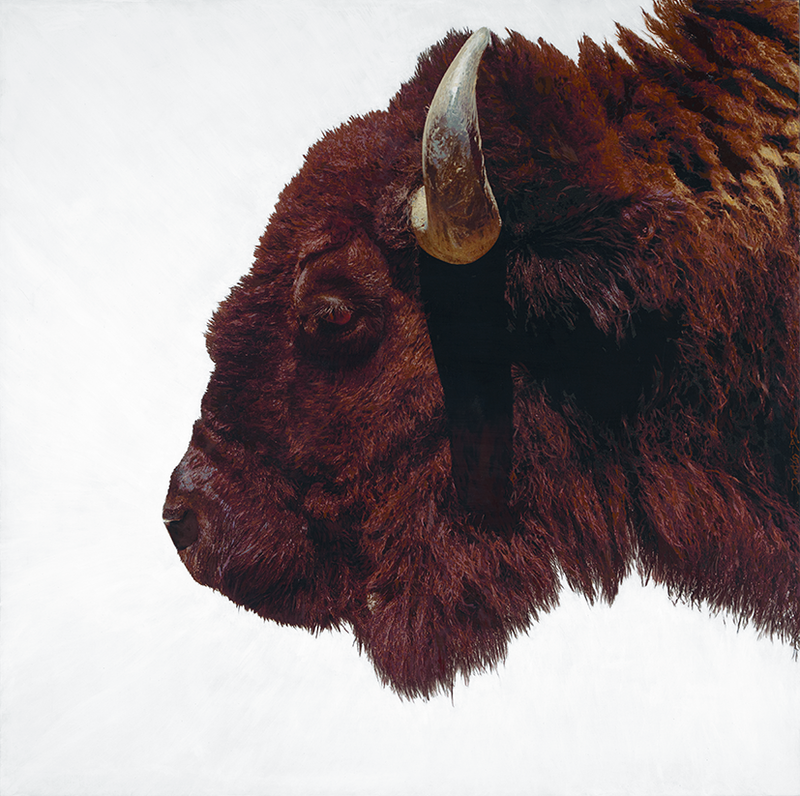 The first in a series of paintings, this Bison image will explore traditional to abstract works of an iconic and enduring part of the myth & romance of The American Frontier. 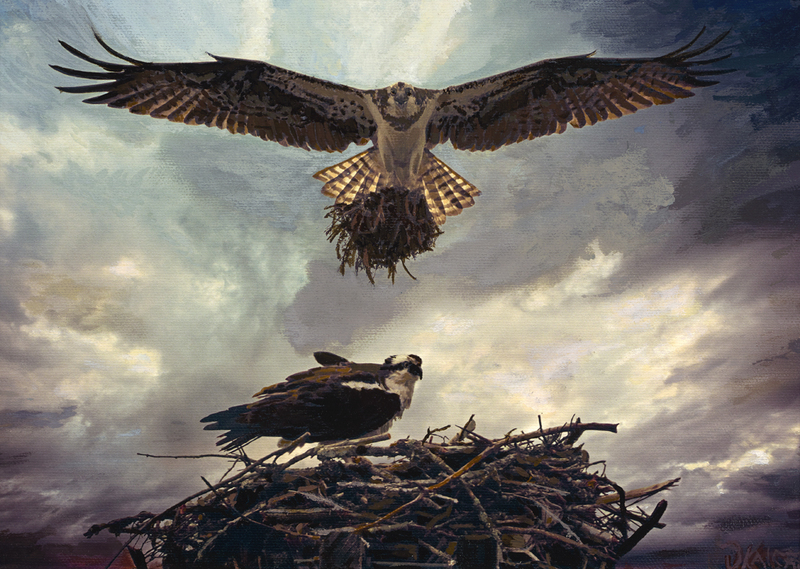 The spectacular Aerobatics performed by the Osprey during nesting is breathtaking. The male osprey’s sky dance delivers the nesting to the female who builds the structure. 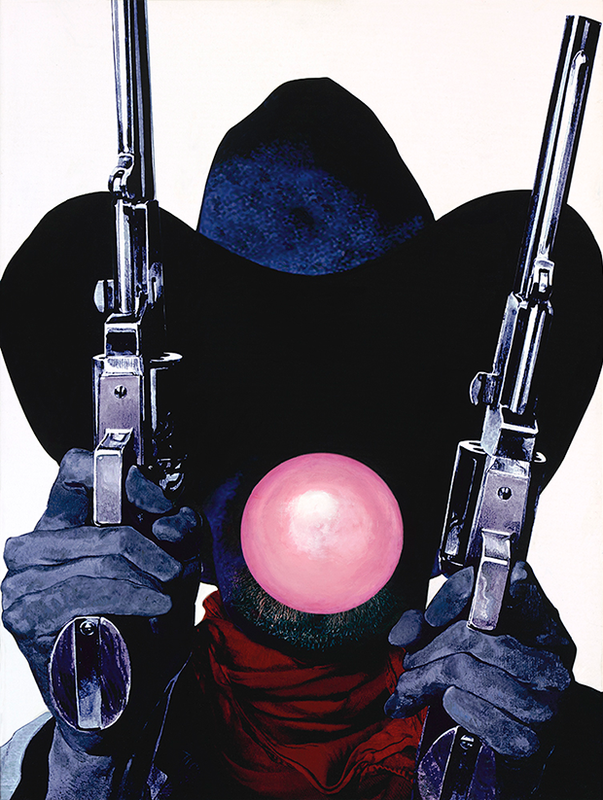 Some nests are as large as 7 feet deep and 3 feet in diameter..
A Pistol Packin’, Bubble Popin’, Pioneer of Pop Art. 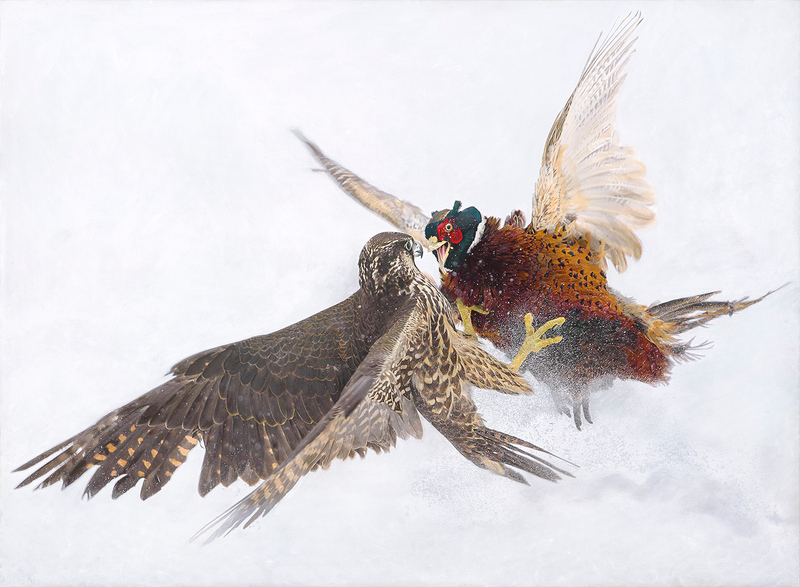 Peregrine Falcons are perfect predators. 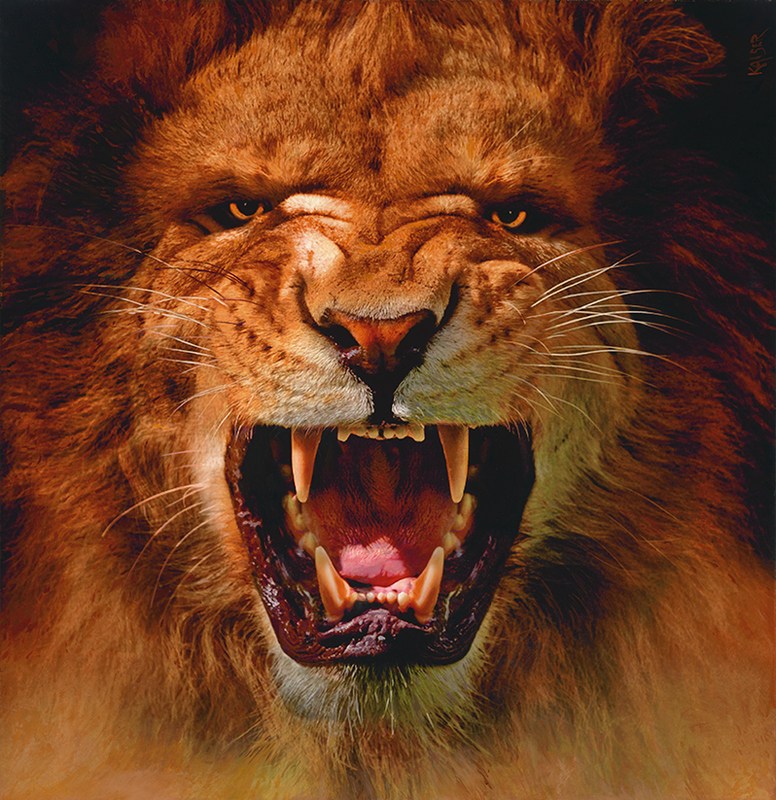 They rise high above their prey, tuck their wings in tightly and dive into an explosive descent upon their target. The Falcon is the fastest animal on earth. They have been clocked at over 200 miles per hour. 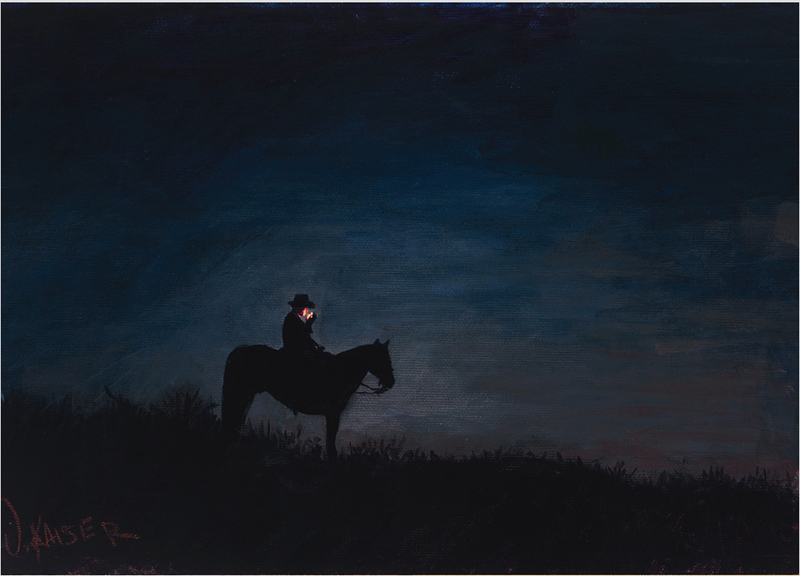 As the day turns to night, a calm silence eases into a very special experience...time alone.